Kian and Kat appreciate all the support and help you have already given, and are both eternally grateful. You have invested heavily in saving Kian’s life already and hopefully you can invest in his bright future filled with his cheeky but cute smile. Unfortunately, Kian still needs your help. Treatment continues, and debts still need to be paid. The best way you can contribute other than donating yourself is to fundraise. With the help of you, our supporters, fundraising contributed hugely towards our initial $500,000 target to get Kian enrolled in the USA. 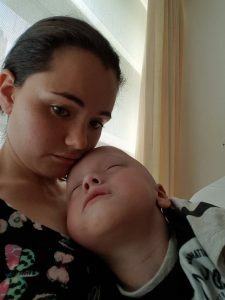 Unfortunately those fundraising efforts have slowed down and we are still in need of fundraising for any chance of paying back our debts or future charges for Kian’s ongoing treatment and living costs in a different country. Please help us increase the fundraising activity and let us know what you plan and if you need any information you can contact us direct below. We are looking into offering the functionality of your own fundraising page here on Kian’s website that you can link to. But for now simply get in touch for anything you may need at the above email address. If you do not follow our social media channels, please do so using the links below. Can we also ask if you see any of our posts, please SHARE & COMMENT (Likes are great but shares and comments are better). The more you do this on our posts, the more Facebook, Twitter and Instagram will allow our posts to be seen on the channels. Without that activity, we would need to pay for advertising on social media, something which we cannot afford to do. Of course donations are what we need ultimately. Not only to pay back our chemetherapy debts, but also for ongoing treatment for another year and the living expenses to go with it in another country (not to mention the flights and taxis to get to the airport).